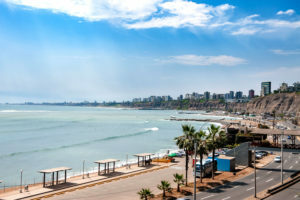 Travel from your home city to Lima, Peru. Welcome to the capital of Peru! Transfer to the hotel. Most international flights arrive in the evening. Start the day with a guided tour of the Larco Museum. The Larco Museum details more than 5000 years of Peruvian history and pre-Columbian cultures. We will come away with foundational knowledge about ancient Peruvian civilizations in preparation for the site visits on our itinerary. After the Larco Museum, we’ll take to the Barranco District. Barranco is known for its Bohemian life style and local artists. We’ll walk the streets and take in the many cafes, art galleries and shops. Afterward, there will be free time to wander more or go back to the hotel for a break. In the early evening, we’ll take a gourmet culinary tour when we’ll visit four exclusive restaurants in Lima. We’ll taste Peru’s national drink, the Pisco Sour, and learn to make one. We’ll be treated to a variety of Amazonian appetizers at an award winning restaurant specializing in dishes from the jungle. We’ll then enjoy a gourmet Peruvian dinner at Huaca Pucllana situated among the pre-Incan ruins. The views of the illuminated ruins at night are amazing! In the morning, we will fly to Cusco. Upon arrival, we’ll be transferred to our hotel in the Sacred Valley of the Incas, a long fertile valley surrounded by snowcapped peaks that lies between Cusco and Machu Picchu. Once settled, we’ll head out for an excursion to Chincheros, a small town situated on a plateau overlooking the Sacred Valley. Chincheros is home to a local market and several highly-regarded weaving cooperatives known for their high quality textiles. These intricate traditional weavings often use symbols to tell stories or depict daily life. We’ll have a weaving demonstration at one of the cooperatives. We’ll enjoy a traditional Andean lunch in Chincheros and return to our hotel in the later afternoon. Today, we’ll join Pio Vazquez, owner of the restaurant El Huacatay, an Andean-style kitchen located in the town of Urubamba. We’ll participate in a hands-on cooking lesson to learn about local gastronomy and cooking techniques used in Peruvian cooking. We’ll prepare an appetizer, main dish and dessert – all inspired by traditional Peruvian cooking. That afternoon, we’ll visit Maras Agriucultural Terraces, a fascinating archeological site in the Sacred Valley. These Inca ruins are a system of circular terraces each with their own microclimate. 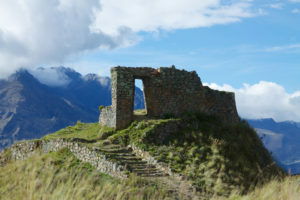 We will learn about why the Incas constructed this which is thought to have been an agricultural experiment station. Nearby, we’ll also stop at the Moray Salt Pans, a complex network of nearly 2000 salt pans or shallow pools that are filled by an underground spring. The naturally pink salt pans get their beautiful hue from the trace elements in the spring water. The salt in the pans is still harvested today as it was in Inca times. We’ll start our journey to Machu Picchu by train, the only way to arrive (other than hiking the Inca Trail). Machu Picchu is arguably the most outstanding achievement of the Inca civilization. On the train ride, we will be treated to views of picturesque mountains and valleys. Upon arrival, we’ll check in to our hotel. Then, we’ll head to Machu Picchu and enjoy lunch at Sanctuary Lodge, at the entrance to Machu Picchu. 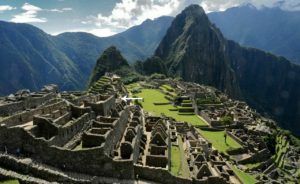 Our guide will accompany us to Machu Picchu for a private tour and to help us get the most our of our visit to this iconic site. 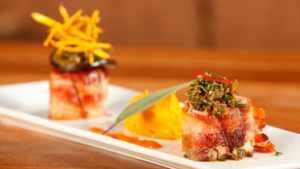 Dinner will be at our hotel experiencing fine Peruvian cuisine that features dishes prepared with exotic, regional ingredients and innovative special touches. The morning is free to make an unguided return to Machu Picchu and explore it individually. Going early in the morning allows for time when there are fewer visitors. There are many things to see and do at the site including the hike to Inti Punku or visiting the Gate of the Sun. Visitors can also hike to the top of Huayna Picchu, the mountain that towers over Machu Picchu, for spectacular aerial views of the ruins and surrounding mountains. In the afternoon, we’ll take the train back toward Cusco. On the way, we’ll stop at Ollantaytambo, massive Inca ruins that were thought to have been an fortress or temple. Set on a hillside, the Incas constructed this site made of both stone walls and intricate cut field rocks. 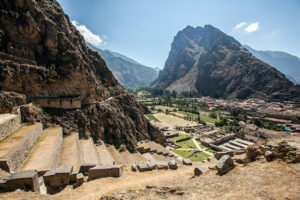 We’ll also visit the town of Ollantaytambo, one of the few towns to survive its current layout from Inca times. From Ollantaytambo, we’ll be transferred to our hotel in Cusco. Today, we’ll visit Lake Puiray located outside Cusco in the Sacred Valley. When we arrive at the lake, we’ll have a few hours for kayaking, paddle boarding or relaxing at the lake. While we are doing this, preparations will be underway for a Pachamanca. 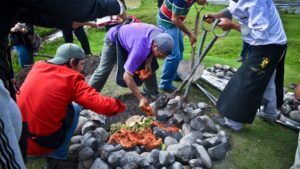 This is a traditional method of cooking in the Andes where an oven of hot stones is created in the ground and layers of vegetables, potatoes, meat, fruit and corn are cooked inside it. We’ll be able to observe the preparations which are part of the experience. Our Pachamanca feast will be enjoyed on the shores of Lake Puiray. 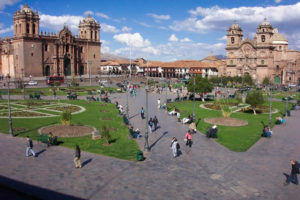 We will have time in Cusco to relax at the hotel, pack, wander the town, shop or eat at a cafe independently. Most of the international flights from Cusco leave in the evening. Guests will be picked up at the hotel and transferred to the airport for the return flight home. For those traveling on to the Galapagos Islands, you will fly to Quito, Ecuador from Cusco. Contact us for further details.